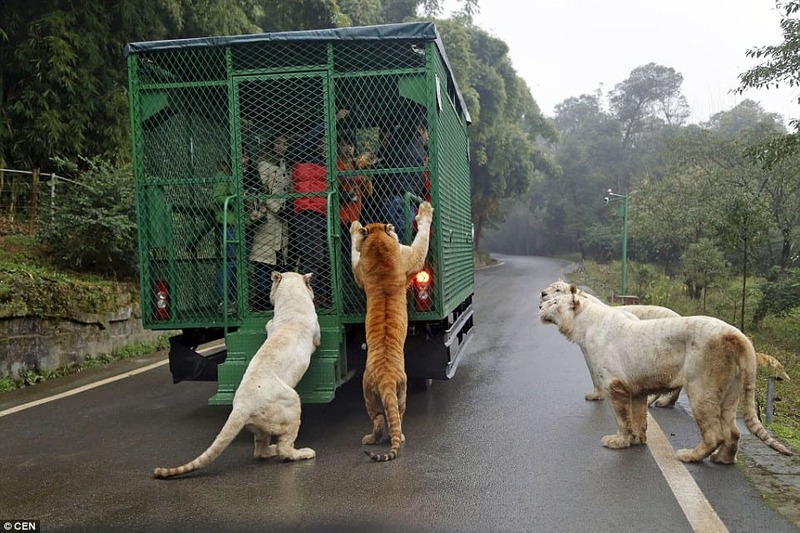 At the Lehe Ledu Wildlife Zoo in China, tourists are trapped in cages while the animals roam free. 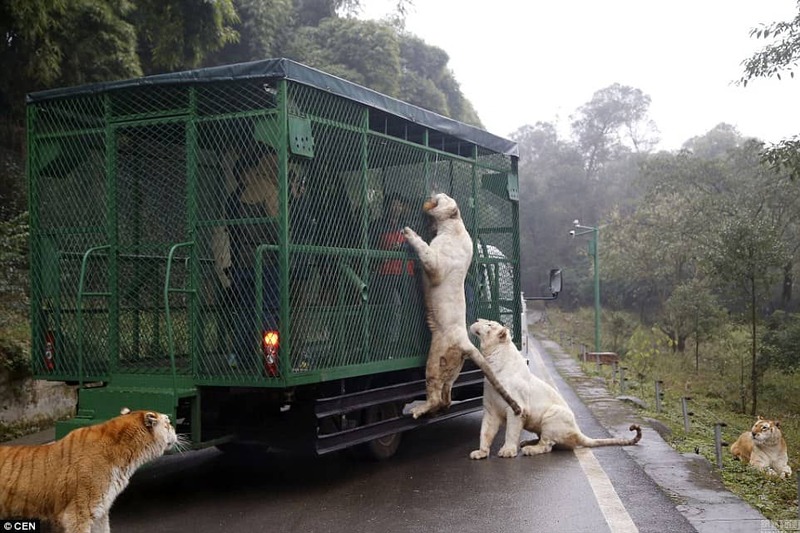 If you love getting close to wildlife but despair at the thought of an animal living in a cramped, man-made enclosure, you should visit the Lehe Ledu Wildlife Zoo located in China. According to The Daily Mail, the one-of-a-kind zoo acknowledges that humans have encroached upon animals’ natural habitats, therefore, should pay them a visit – but in a safe, secure vehicle. In order to attract the exotic beasts, chunks of meat are tied to the outside of a vehicle. Tourists then drive through each enclosure, getting an up-close-and-personal encounter with creatures of all kinds. 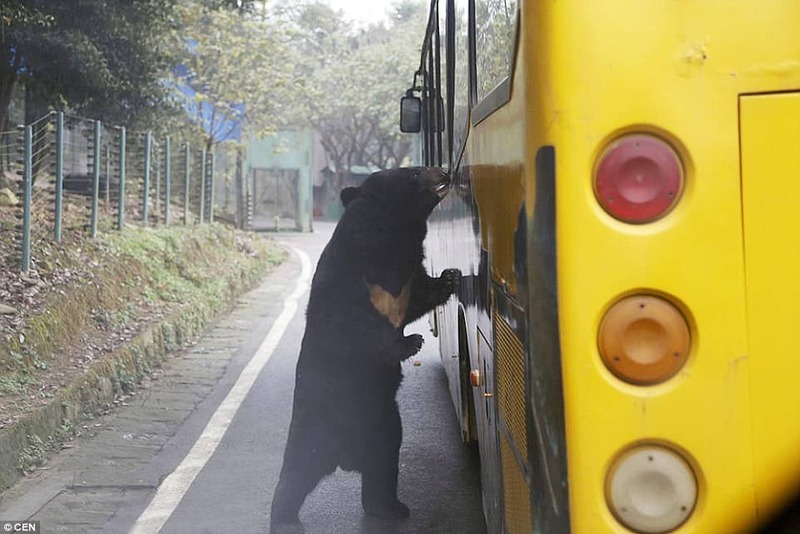 In many ways, the zoo in Chongqing city is giving people the closest possible dining experience with the animals – without actually becoming dinner themselves. 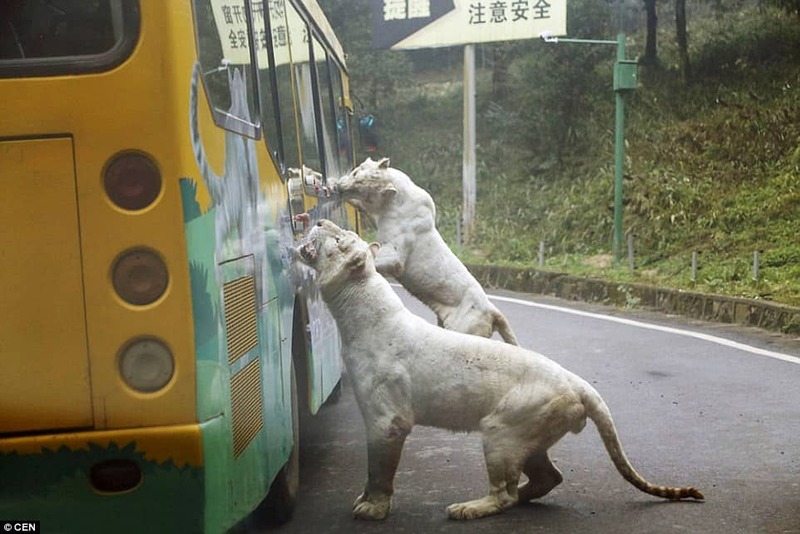 Tourists are given the opportunity to offer food to lions, tigers, and bears through a small opening. Live chicken is reportedly a favorite for the animals, as it inspires them to leap on the vehicles to get the grub. When the attraction was launched in 2015, it was sold out for three months. 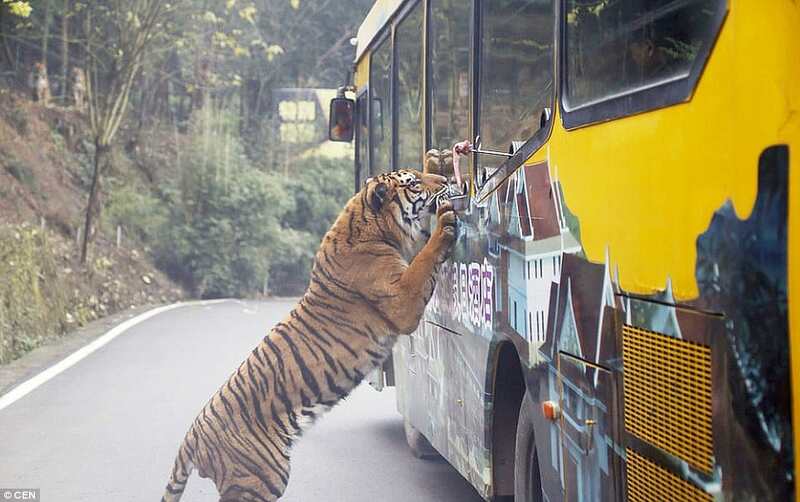 Despite the danger, it seems, tourists prefer to visit an animal in its natural habitat. With countries like Costa Rica closing all of its zoos, will this type of park become the new norm elsewhere?